Introducing: Max Von Olenhusen, Novartis. There are four ways in which becoming a Council member can be beneficial for you. At least that’s what Max has encountered since he has been involved with the chamber. For more information on the Council nominations process and timeline, please follow this link. If you’re interested but want to know more about being a Council member, or standing for President, contact Glenn for an informal discussion. Nomination forms must be filled in and sent to glenn@britishchamber.be by 24 April 2015. My personal relationship with the chamber started around 2009. At the time, we were already organising a number of events at Novartis with different trade associations as well as think tanks and had a good overview of the Brussels policy-making landscape. But I felt there was something lacking in terms of events and networking. At the chamber, I found what I was looking for. The benefits of being a member are essentially on four different levels: one, you greatly expand your personal network to the effect that practical advice is only a phone call away. Two, the chamber provides you with an ongoing birds-eye view of all issues but also allows policy “deep dives” whenever necessary. Three, the chamber offers sponsors a low-key way to get involved in events with minimal organizational hassle. Four, you get a level and type of interaction with the speakers that is unique in Brussels. Since then, the professionalism and leadership of the council has been on a continuous process of maturity. A few years ago, some of us had a vision of the chamber and now that is starting to manifest itself into more a focused strategy of what the chamber wants to do and achieve in Brussels. Indeed, the chamber is a great return on investment, and that is the reason I got increasingly engaged in its activities to the point where I decided to run for Council member, where I have been part of for two terms now. Now, the chamber has become my main platform for institutional networking. Without a shadow of a doubt, my time spent as a council member has expanded my professional network greatly. To cite a few examples, I have been able interact with various MEPs at events in Strasbourg, have been more exposed to event opportunities related to the Belgian business environment and found new training programmes for our office. Many people like myself have been living in Brussels for years and still have difficulties in understanding all the different complexities of the Brussels bubble. 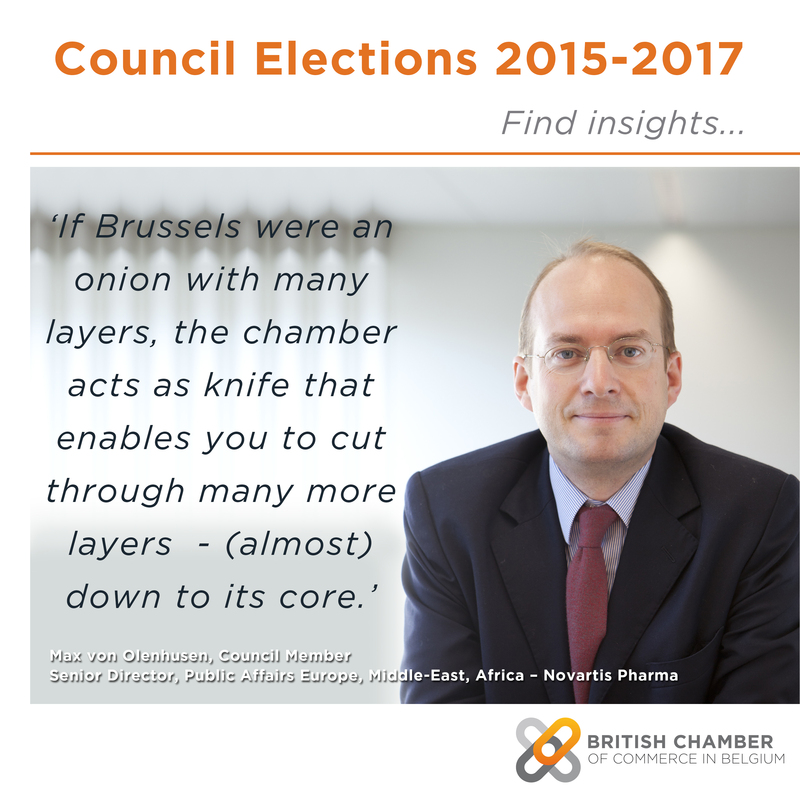 But I like to think that if Brussels were an onion with many layers, the chamber acts as a knife that enables you to cut through many more layers – (almost) down to its core. There are so many facets of the chamber that as a council member, you can tailor them to your needs, but for that it is essential to be fully committed and involved in its activities. The chamber has grown and it has gone a long way since I joined. But the chamber still has a lot of unrealised potential, and that is definitely a very interesting prospect for anyone who wants to join the council.